SAILKARMA.COM - Sailing News, Videos and Photos! 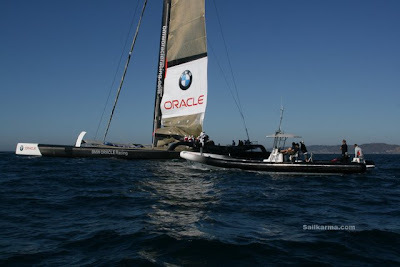 : BMW ORACLE TRIMARAN - IS BACK! Update 10:50 PST - BMW Oracles Trimaran heads out of San Diego Harbor to begin more sea trials.